Blogging provides an excellent resource for reflection. As I thought about this year, I was able to look through my posts (on this blog and on other sites) and see how much I have grown. Over the course of the year, I learned a lot about balance and the power of gratitude. As I look into 2018, I am poised to continue to help other educators through my writing, podcasts and presentations. Here are my Top 6 posts/moments that I am grateful to have experienced. Please click on the links to help me travel through 2017! This was such a great experience for our students at Lakeside Middle School to see the many offerings at Millville High School. Innovate My School is an amazing resource for educators. The site is based in the UK but has a global reach because of the resources provided! We took a much needed break to work on other projects and to truly understand the work/life balance. This podcast was very fun and we decided to continue podcasting in 2018. EdWeb.net is one of the best resources for educators through online learning. They provide relevant topics presented by practitioners who seek to make others better. As I scanned the blog for the most clicked on post for 2017, this post on gratitude was at the top. I am very grateful for the support and it encouraged me to work on a follow up to be published very soon! I am big fan of Solution Tree and they continue to send me excellent resources for review. From Leading to Succeeding is a book that I was able to put right into action at my school! Thank you so much for your support of Insights Into Learning. I am looking forward to more posts in 2018. There are many benefits from floating and it has been around since the 1950s. 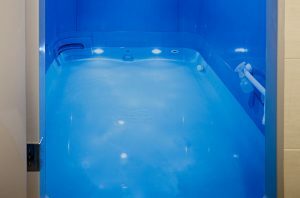 Recently, Float Tanks have become popular from celebrities such as Joe Rogan and Stephen Curry who use them on a regular basis. I wanted to give it a shot for a few reasons. 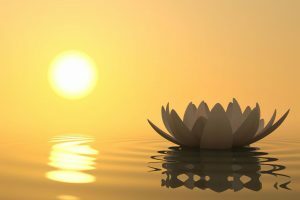 First, I have never tried it and I believe in the statement, “When was the last time you tried something for the first time?” Secondly, I wanted to experience sensory deprivation in order to gauge my mindfulness practice. Lastly, I have had many people I respect in the yoga/mindfulness community highly recommend it. An hour isn’t enough – It does take some time to chill out once in the tank. For me this process took a while even though I was practicing my breathing. You are going to bump the walls – I laid as still as I could be inevitably I gently bumped against the walls of the tank. Eyes open and eyes shut – Throughout the experience I tried a few different techniques. I would keep my eyes shut for some time and open as well. Since there is literally no light in the space, it probably doesn’t matter. It is salty – I could feel the salt crystals on my face and chest as I floated. This salt is what keeps you buoyant and provides restorative healing. After the float you can wash this salt off but I was instructed to let it stay. I sort of feel like I just got back from the beach. One session isn’t enough – I plan to go back at least two more times. Now I have a better grasp on the experience, I feel there are things I can do in preparation to ensure that I get the most out of the float. Visuals – It is dark, very dark! Overall, I had a very positive experience during my first float. I wasn’t able to solve all the world’s problems, or invent a new form of technology, but I was able to get an hour of peace, disconnected from the world with literally nothing holding me back. Want to learn more about Float Tanks? Check out these Frequently Asked Questions courtesy of Float Haven in Pitman, NJ. Are you looking for a leadership book on school culture that integrates data, practical advice, and strategies tailored to your school’s unique needs? Honestly, anyone who is an administrator in a school is looking for such a book! In Transforming School Culture (2nd Edition) Anthony Muhammad provides a road map for aspiring and current school leaders who are interested in addressing the daunting task of improving school culture. For this new edition, Dr. Muhammad has updated the research, added a frequently asked questions section, and added further guidance to equip leaders to take their school’s culture to the next level. The Believers are focused on the core values of healthy school culture, feel that all students can learn and that they have a direct impact on student success. The Tweeners are new to the culture and still experiencing the honeymoon phase. The Survivors are a small group of educators who are burned out, overwhelmed and struggle to survive. The Fundamentalists are vehemently opposed to change and through political power become a major obstacle in reform. They are usually against the Believers. These six steps may appear more difficult to implement because of the overwhelming tasks required to operate a school with the demands of the 21st century. Have no fear because Dr. Muhammad provides practical, easy to implement exercises to support you on your journey. All you will need to do is put the framework provided into practice! In the final chapter, Dr. Muhammad includes the questions he has encountered from the emails, messages as well as the in-person discussions since the release of the first edition in 2009. These questions will resonate with you as you may have already penciled them into margins as you read the book. For instance, one of the questions could spark a much needed conversation on the four types of educators such as what if a Fundamentalist believes that he or she is a Believer? I can honestly say I thought the same thing! 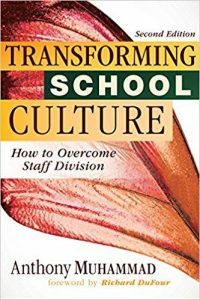 In conclusion, Transforming School Culture: How to Overcome Staff Division 2nd Edition will be worth the read. Dr. Muhammad understands school culture not only as a researcher and author, but also as a former teacher, vice principal, and principal. 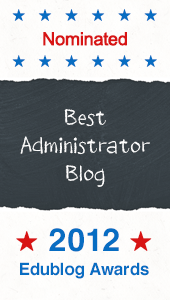 He led a staff transformational process in a high poverty, high minority school with a toxic, low expectation school into a nationally recognized school and earned a Principal of the Year in Michigan for his efforts. Spike C. Cook, Ed.D. 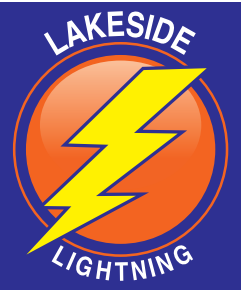 is Principal of Lakeside Middle School in Millville, NJ. Connect with him via twitter @drspikecook or check out his personal blog drspikecook.com. What to do over Holiday Break? The Holiday Break is upon us. 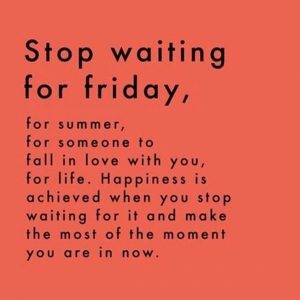 There are many educators who thought about this time for the past week, month or maybe even since September, but no matter how long you have prepared yourself it is finally here. There seems to be a lot of preparation and planning about what to do over the break. I am grateful that I saw that quote during the most stressful time for schools (which is clearly the week before Winter Break). The quote made me stop and think about the present moment. Most of us are always wishing for that time or person who will make it all better as opposed to seeing the beauty in the now. This Winter Break I plan to do the following (not necessarily in any order) and these plans are not definite. Read Brene Brown’s Braving the Wilderness. I am intrigued by her work on vulnerability. Float. I’ve heard about Float Tanks/Sensory Deprivation tanks for some time. Basically, you get into a tank for a few hours and become suspended in your thoughts, intentions without any distractions. Hike. I love to get out into the woods and walk. Southern New Jersey is somewhat mild in the winters and there are plenty of trails near where I live. Couch time. Although I sometimes struggle with couch time, I feel it is essential practice to a balanced life. Whether I am watching a documentary, sporting event, movie or binge watching a television series, I find solitude on the couch! Write. I am working on a few things and I could see myself spending time in a coffee shop typing away at something or nothing! Friends. I love hanging out with friends. There is always an adventure on the horizon. Podcast. We recorded a podcast this morning on the PrincipalPLN. Our goal is to get one more in before the new year. So now is the time for the break. How are you going to spend your break? I had the pleasure of discussing my understanding of Reflective Practice with David Beegle, School Development Specialist for the MSE Instructional Leadership at Jacksonville State University on December 11, 2017. David and I worked together this summer as I spoke at the 2017 Back to School Core Workshop at Jacksonville State University. This discussion was a follow up from that talk. For more archived posts on Reflective Practice, please click here. Do you have Financial Peace? 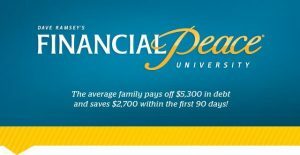 Recently I had the pleasure of going through Dave Ramsey’s Financial Peace University through a local church in my area. I was very reluctant at first. 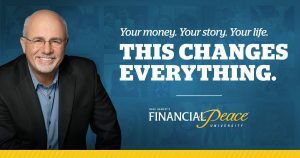 In fact, I think the first time I was introduced to FPU was about 5 years ago. For some reason, though, this time it clicked. Who doesn’t want Financial Peace? Trips to Starbucks are a necessity! In Dave’s first session, Super Saving, he literally gets to the core of what money is and isn’t. He also uses Biblical references to support his claims. I was dumbfound because almost everything I wrote about (in regards to my preconceived notions about money) Dave addressed. I felt like he was talking directly to me! I can honestly admit that all my preconceived issues regarding money were wrong! Throughout the remaining 9 weeks we reviewed Dave’s videos, worked in our notebooks and discussed the concepts plaguing most people. We learned about the baby steps to Financial Peace as well as how to relate with money in our relationships, how actually plan and execute a budget, how to purchase big ticket items, how and why we need to save, and ultimately how to be more philanthropic. You can take this course online or through a local church or organization. The curriculum was impressive. The videos are informative and easy to follow. The workbook severs as a guide to take notes and to further the understanding of the concepts. On Dave’s website there are countless additional resources and tutorials. By the end of the class I was definitely sad. I really looked forward to Tuesday nights. I met some really cool people in the class who were in the same boat as I was in. Our facilitator was very open and honest with us, and did a great job of guiding us through the process. I will be honest that in order for FPU to work, you have to do a lot of work. I probably allocate at least 5 to 10 minutes a day on my personal budget. I spend at least an hour a month reflecting on the previous month of spending and planning the next month. Since beginning the class, I have only used my credit cards twice and both times I paid those purchases by the end of the month. I have an active savings account. I have a plan to pay down my existing debt and not to incur more debt. Starbucks visits are a treat, not an everyday occurrence. I now view my relationship with money so differently. I use the Financial Peace University philosophy as a grounding exercise and budgeting no longer causes anxiety. As a Middle School Principal of 1,100 students it is sometimes difficult to make individual connections. We are all busy but there are times when we have to stop in our tracks and listen to the youth, and find the young! 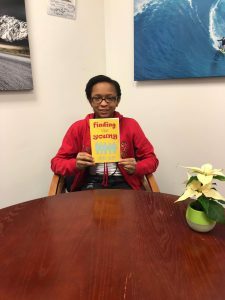 Earlier this year, 11 year old Mya Reid, published her first book of poetry apply titled Finding The Young. When I talked with Mya about her passion for writing, she told me that she started in 4th grade when a teacher gave her a journal. Since that time she has written many poems, short stories and ideas in that journal. Fortunately, she connected with Mikey Wayward, a local Millville poet, who helped Mya to take her poems to the next level. She admits that life hasn’t always been easy but she finds solace in her writing. Mya’s partnership with Mikey Wayward, known as Mr. Mike, has continued to flourish. He has helped her and encouraged her to continue writing and expand her language. They have a new, collaborative book of poetry due out this month. I’ll be leader, you be the follower. Because my name is friendly hollow. You play in the day. I hope you follow me, friendly hollow. Book Review – From Leading to Succeeding! Review – Spike C. Cook, Ed.D. School leaders are constantly searching for a practical book with realistic opportunities to improve teaching and learning. 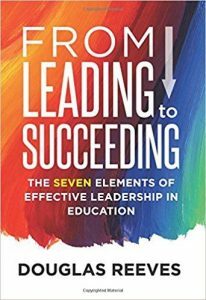 From Leading to Succeeding: The Seven Elements of Effective Leadership is a book that will exceed the expectations of the reader. Be prepared to be inspired and to enact a systemic process of change that will benefit teachers, students and the school community. In short, this book should be required reading for all school leaders! Reeves outlines seven elements that will assist leaders. The seven elements are purpose, trust, focus, leverage, feedback, change and sustainability. These comprehensive elements provide a scaffolding for leaders to take their organization to the next level and beyond. Reeves doesn’t take this opportunity lightly to assist leaders seriously being concrete with the application of these elements and more importantly why they exist. What is the purpose within your organization? For instance, as you approach tasks as a leader are you able to articulate why something is worth everyone’s time and energy? Do you know what the end results will be? These are questions that Reeves delves into providing applicable answers. When you think about your relationship with your staff or community is there a level of trust? Reeves points out that people will not be able to follow a leader that they do not trust. In addition, Reeves is able to challenge even the most well intentioned school leader to revisit the organization’s mission statement and how decisions can support or detract trust. In this section, Reeves helps school leaders to understand how and when to use their influence to improve the organization. 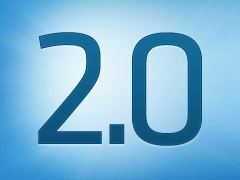 In addition, he points out that school districts need to assess their standardized assessments and curriculum to determine which issue requires the most attention to yield the best results. If immediate and frequent feedback to teachers is not common place in your school, you are running the risk to stifle improvement. Reeves challenges school leaders to help teachers go beyond right and wrong answers to being specific with feedback. He also provides technique suggestions on how feedback improves performance when given in a timely manner. Have you ever wondered how you lead change? Do you have any idea whether you are effective in leading change? If you have, Reeves provides support and clear insight on how to not only manage but lead change in your school. Be ready to answer tough, reflective questions such as: what can you control, what will you change, and are you willing to be unpopular due to the change initiative? Will your legacy be short lived or will it be an opportunity for the organization to be poised for long term, effective growth? Reeves expresses the research pointing out that school leaders do not have longevity. Therefore, it needs to be understood that decisions need to be approached with a higher level of consideration, will have long lasting impact on the organization, and can be met with cynicism. In conclusion, if you are ready to do the hard work required to improve your organization, Reeves’s book will be a helpful tool to assist your leadership because it combines theory and practice as well as structured activities that will take you from Leading to Succeeding. On October 4, 2016 I met with a Professional Development coach hired by the district to assist administrators with whatever they were struggling with as a leader. At the time I was stressed about a lot of things such as the beginning of the year challenges, there were a few initiatives that were not going so well, and personally I was drained. Her first question to me after I went through everything that was going wrong really threw me off… She asked, “So what are you grateful for?” I struggled to even remember what gratitude meant, much less what I was grateful for. I quickly replied, “I am grateful for my kids.” She validated my answer but challenged me to look more micro. She went on to talk about sunshine, trees, life, food, someone smiling, showers, etc. Then it hit me … there is so much to be grateful for. She taught me how to make a gratitude list and how to incorporate it into a daily mediation that would be completed in the morning. 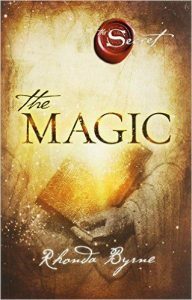 She also recommended that I purchase The Magic by Rhonda Byrne. I highly recommend to get this book! I read it and applied each of the suggestions in the book for a month and it did wonders for my life and my school! Everyday (well I have missed a day or two here and there) since October 4, 2016 I wake up and complete a very basic Gratitude List. I focus on 5 things I was grateful for from the previous day. As I stated before, this was very difficult in the beginning because I was focusing on the wrong things. This journal has helped me overcome the stress, anxiety of being a father, and a principal. Those in the field of education can empathize with the stress, and demands of our profession. Whether it is federal, state or local initiatives, fights, bullying, curriculum, poverty, etc we are always facing some type of challenge. For instance, prior to doing the gratitude list I would be extremely disappointed when we had a fight in our school. It would be as if the entire day was ruined. Since doing the gratitude list I can put things in a better perspective. Now, although I am disappointed, I realize that there were 1,100 other students who came to school and did not fight. I realize that there were thousands upon thousands of interactions with students that did not result in a fight. So as you can see the Gratitude List can make small, important changes in your perspective. As an educator you will be transformed through gratitude and pretty soon you may even have your students and teachers writing gratitude lists!